about this book: There is a fundamental, freeing simplicity in Jesus Christ, however much people may have complicated his message and mission over the years. What if we could return to the main menu? What if we could hear anew the simple words that drew multitudes to him and set them free? What if we could shed the complications and return to a place of simplicity and energy in our lives? That is the focus of The Red Letter Life (17 Words from Jesus to Inspire Simple, Practical, Purposeful Living). It takes the reader on a journey through the "red letter" portions of the Bible—the words of Jesus, as recorded by Matthew, Mark, Luke, and John. And it reveals the stunning simplicity of his "good news," his Gospel message. 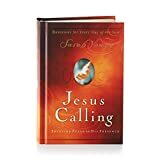 Each of the book's 17 chapters focuses on one word spoken by Jesus—such as "Come," or "Ask," etc.—and shows readers how doing what Jesus says can simplify and enrich their lives. 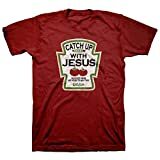 Focusing as it does on the words and way of Jesus rather than on theological or denominational clashes, it appeals to a broad spectrum of readers. It is spiced with humor and full of surprises. 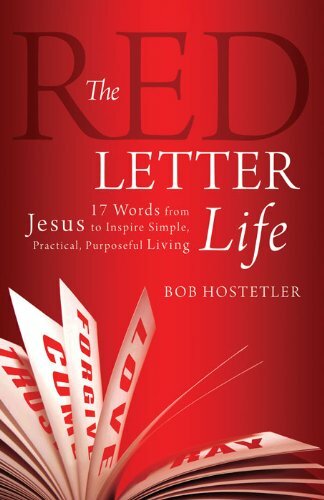 • "A heartfelt invitation to put into action what Jesus put into words"
• "In The Red Letter Life, Bob shows the richness, depth, and transformative nature of Jesus' invitation and teaching. I highly recommend it!"